Couscous is truly a must-have in my pantry at all times. I always have a box or two as backup for a quick meal or a perfect side dish. Not only is it extremely versatile but it’s an easy way to add a grain to your meal without investing a lot of time. Seriously. Grill up some veggies and toss it with some couscous and you have a delicious lunch or dinner. Toss the cooked couscous with some olive oil, lemon and a little bit of salt and pepper and you have an easy side dish that pairs well any poultry, fish or meat. 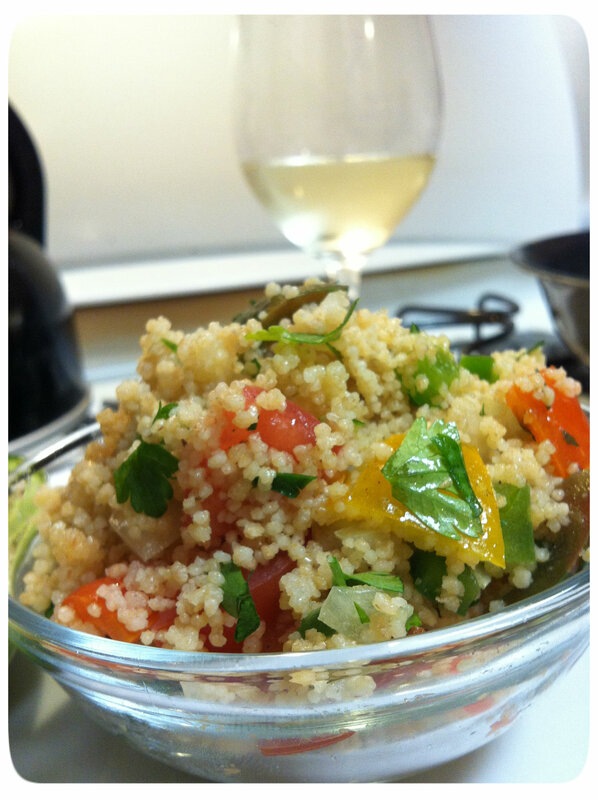 A simple recipe that I make a few times a month is this quick and easy Couscous Tabbouleh Salad. Enjoy! What I like to do is boil the water in a saute pan over the stove. Once boiling, I turn off the stove and add the dry couscous, olive oil, lemon juice and stir to combine. Cover and let sit for about 5 minutes. 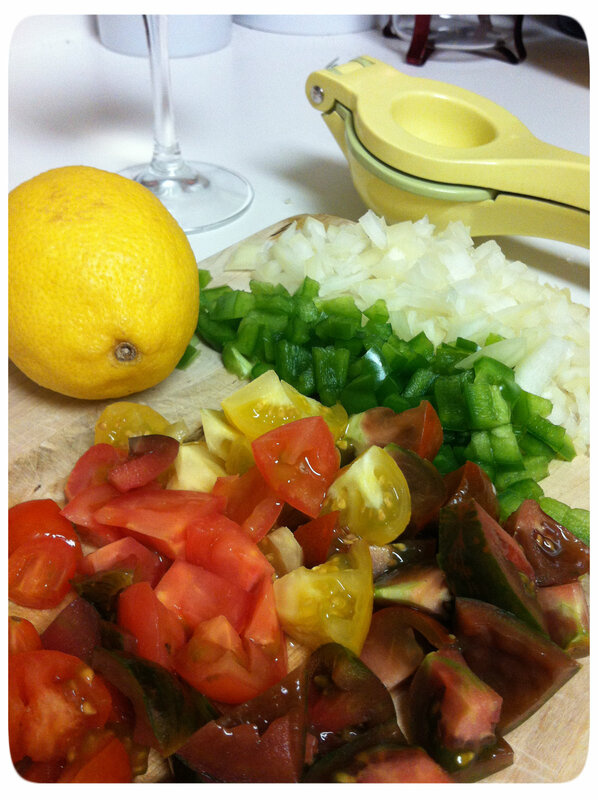 While the couscous is cooking, prepare the tomatoes, green peppers, onions and herbs. After the 5 minutes are up, fluff the couscous with a fork and add the vegetables, herbs and salt and pepper. Toss lightly and serve warm or refrigerate for about 15 minutes. Fluff salad with fork again and serve. Question: What’s a staple food item in YOUR pantry?